JOY. Our final word for Day 9…and a joyful day it was!! We’re finding joy in being with each other, joy in resting, and joy in reflecting back on this week’s accomplishments. Overnight our team endured the first Ugandan thunderstorm since December 2018 (and boy was it a storm). There was a wedding last night that had music blasting until the early morning. 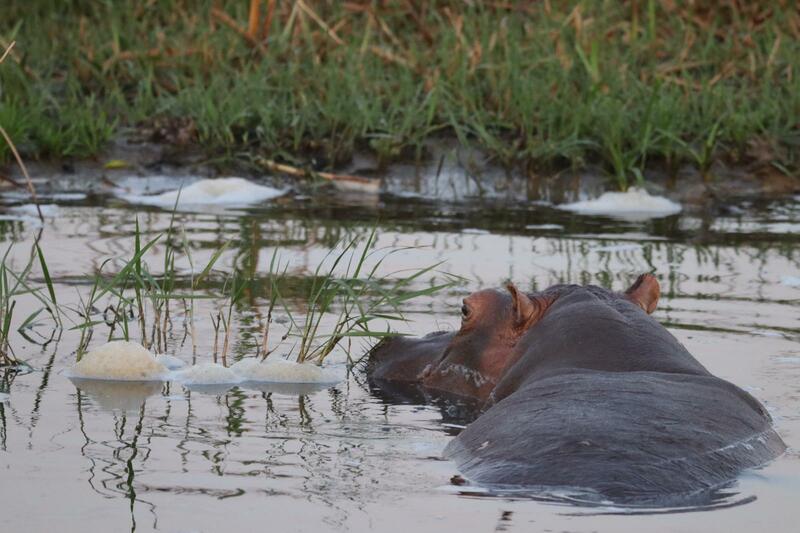 A couple of us were greeted by hippos on our way to breakfast this morning at 5:45. Thanks to our astronomy-loving teammates, they pointed out that we could see the Milky Way on our walk to the vans! The stars are majestic out here. Breakfast included an egg and pepper burrito, muffin, banana and a mango juice box. Before boarding the ferry, we took pictures, and a guard told us to get farther away from the water because crocodiles were close to the shore (fear not, we didn’t see any). We caught the 6:30am ferry across the Nile River and were able to watch the sunrise. 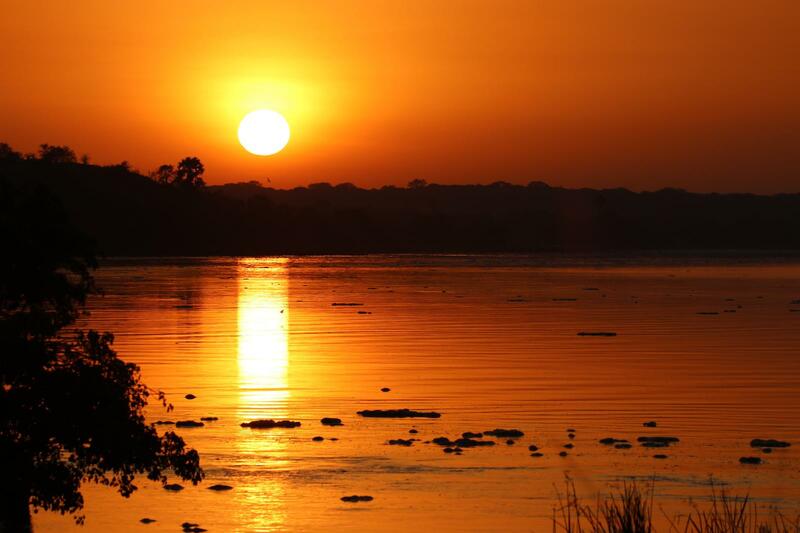 Ugandan sunrises are filled with vibrant colors: oranges and reds mostly! Our vans for the week have been our loyal driving companions – we popped the tops to be able to stand and stick our heads out for the safari. 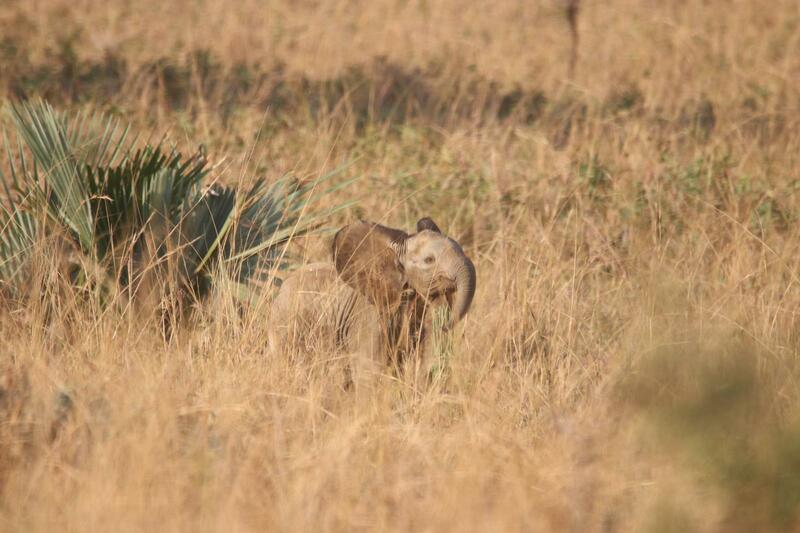 We set out on our safari and were quickly greeted by warthogs, Jackson hartebeests and a lone elephant! It’s mating season here so the male elephants travel alone. We enjoyed watching elephants, giraffes, hippos, hyenas, warthogs, baboons, patus monkeys, vervet monkeys, oribis, defassa waterbucks, bush bucks and water buffalo. We were SO lucky to see so many babies! Thank goodness for spring! Halfway through the safari we stopped at a watering hole (Lake Albert) to take some pictures. It was so fun to see the Lion King watering hole scene in action! So many animals had trekked to the water as the temperature rose. Today is hot in Murchison Falls so many of the animals were bedded down in the brush and under the shade of the trees by the end of our safari. We scoured the trees to find a leopard, but no luck. The lions were also well hidden so we didn’t see any of those either. When we arrived back to Murchison River Lodge, we enjoyed lasagna, garlic bread and garden salad with a cold Stoney ginger ale while overlooking the Nile. After lunch we congregated at the pool. Some of us had a contest to see who could hold their breath underwater the longest (rest assured: no CPR was necessary) and the rest of us enjoyed dipping our feet in accompanied with friendly conversation. We are back in Masindi for our last night as a team. We are looking forward to laughter and a final game of fishbowl. Tomorrow morning we get to sleep in because breakfast isn’t until 8! (I’m sure we’ll all be up by 6…) After breakfast we’ll debrief, pack and leave for Entebbe. We will stop for pizza before boarding our planes to our next destinations – most of us are headed home but some are adventuring a little while longer. This trip has been a trip for the record books. Goodbyes start tomorrow and while we are all happy to have clean water, hot showers, air conditioning, paved roads and to see our support people back home… we are going to miss the people, Ugandan hospitality, monkeys playing in the trees behind the hotel, vigorously waving to the smiling children from the car and games of fishbowl after dinner. Thanks for following along with us this week! We have felt your love, prayers and support. We hope you have enjoyed the pictures and stories, and maybe next time we’ll see you here with us! ©2019 OneWorld Health. All Rights Reserved.